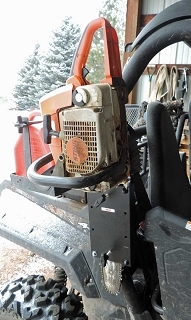 The U-4047 comes complete with the Curved Lower component, upper tire/wheel mount, one industry standard 5/8" Hitch Pin and the Hornet U-4045 Stabilizer. 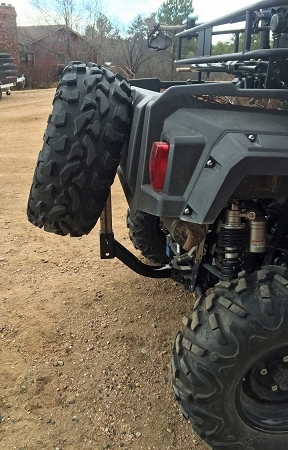 You may want a second stabilizer where it inserts in to your vehicle to improve stability. 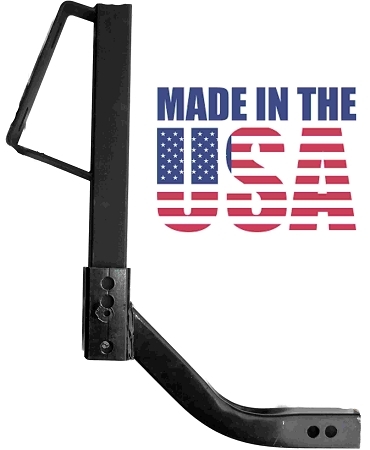 The Tire Mount also comes with two 3/8" bolts that fit most wheels but you may need to purchase longer bolts depending on the size/thickness of your wheel. 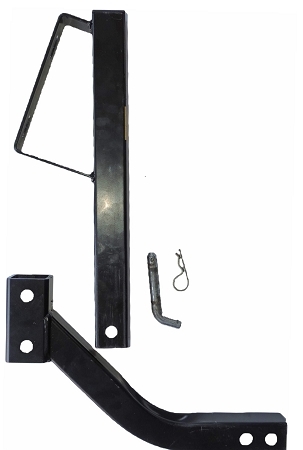 Additional Stabilizers and Hitch Pins are discounted if purchased with the unit in the shopping cart. 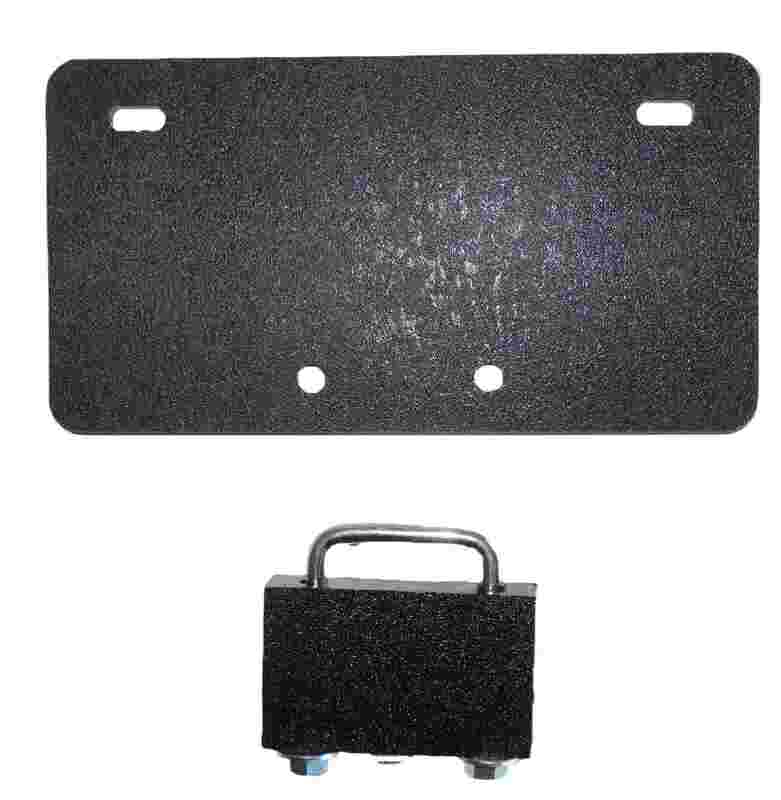 Note: THE DISTANCE FROM THE CENTER OF THE HITCH PIN HOLE (WHERE IT INSERTS IN THE RECEIVER HITCH ON YOUR VEHICLE) IS 13" TO WHERE IT CLEARS YOUR BED". 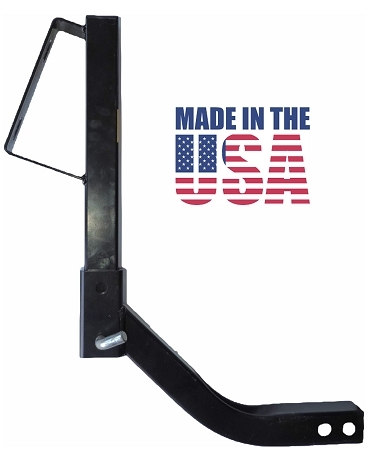 THE bed overhang varies by the Make and Model of your ATV or UTV. 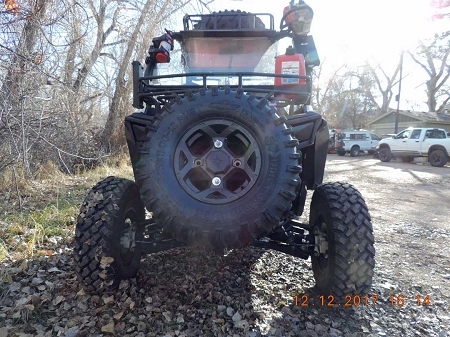 CHECK OUT THE DIMENSIONS SHOWN ON THE IMAGES TO CONFIRM THAT THE SPARE TIRE WILL BE POSITIONED WHERE YOU WANT IT. 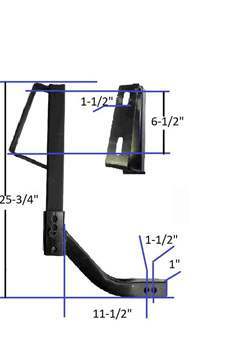 Hitch Stabilizer (Hornet part number U-4045) recommended with this product to eliminate wobble/rattle inherent in hitches. 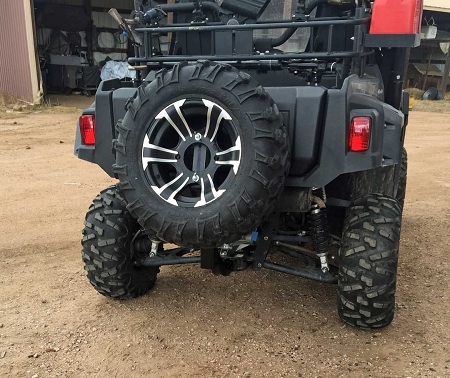 Hornet manufactures various optional short extensions that allow you to position the spare tire right behind your bed. 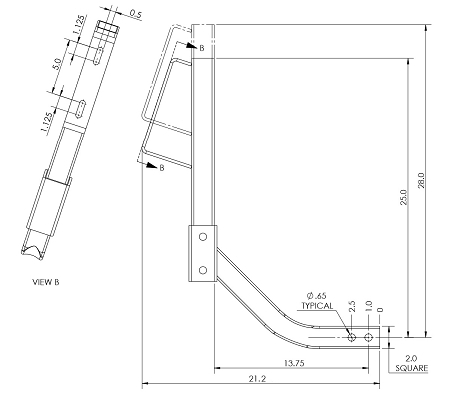 One 5/8" Diameter hitch pins. 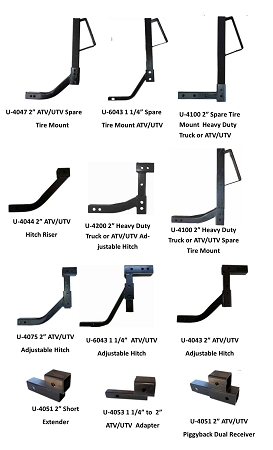 (1) U-4045 Hitch Stabilizers. 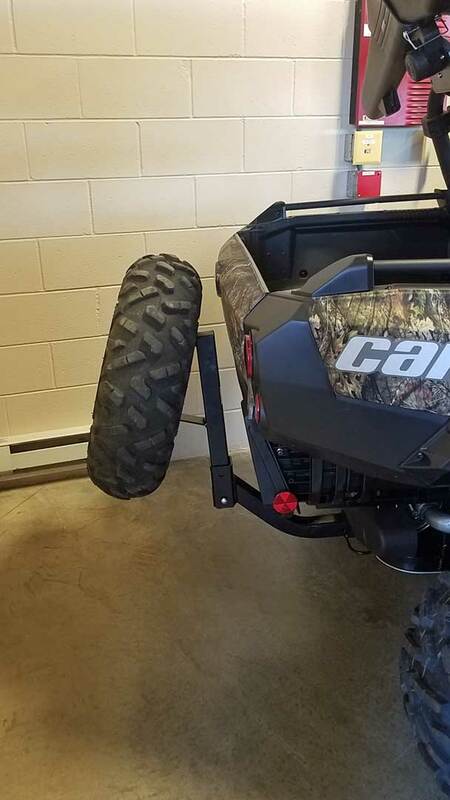 One to be used on the vertical tire carrier and the other where the hitch inserts in your receiver.